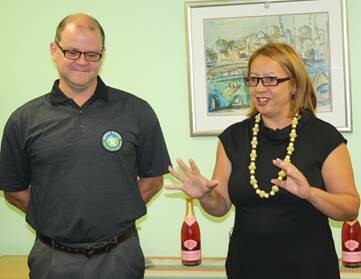 The official appointment of Nina Farrell as the new General Manager of the Groote Schuur Community Improvement District (GSCID) was announced by Gregg Huntingford, GSCID Chairman, at an informal office function on Tuesday 28 February 2017. The event was attended by several GSCID Board members, staff and senior management of our service providers, Securitas and Straatwerk. Caption: (From Left to Right) Shai Makgoba (GSCID Board member), Gregg Huntingford, (GSCID Chairman and Board member), Nina Farrell (GSCID General Manager Elect), Anthony Davies (GSCID CEO) and Manu Wope GSCID Board member). After 18 years in the industry, the occasion marked a bittersweet moment for current GSCID CEO, Anthony Davies, who will be retiring and handing over the reins with effect from 01 April 2017. “After a comprehensive process the Board was pleased to appoint Nina Farrell” Huntingford noted. Huntingford congratulated the incumbent and wished Farrell all the best in her new role. “We are very pleased with the appointment and look forward to the contribution that she will bring to the operation of the GSCID.” He acknowledged the excellent social initiatives that Farrell had already successfully implemented during the past year. Farrell, who is currently the GSCID Administration Manager, acknowledged the very big shoes she has to fill. 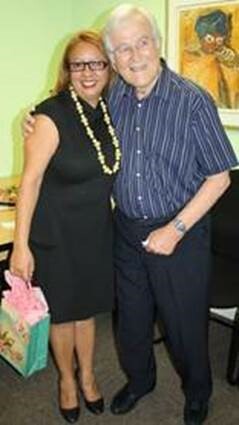 She paid tribute to Davies’ contribution to the success of the GSCID since its humble beginnings in 2010 in a back office of their present premises operating from a trestle table. 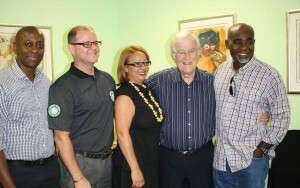 She thanked Davies for his mentorship and highlighted how he had impressed upon her the critical role of the GSCID partnerships in the success of its operations. “I have learnt a lot under Anthony’s guidance and am ready to take on the challenge,” said Farrell. Huntingford acknowledged his co-directors and expressed heartfelt thanks for their sage advice and the instrumental part they play in the smooth running of the GSCID.